It is so cool when you wake up and someone calls to tell you that you are in the newspaper! That is exactly what happened to us yesterday in our local paper, The Crewe Chronicle. We are so excited, and hope that this will let all the brides around Cheshire know we're here! 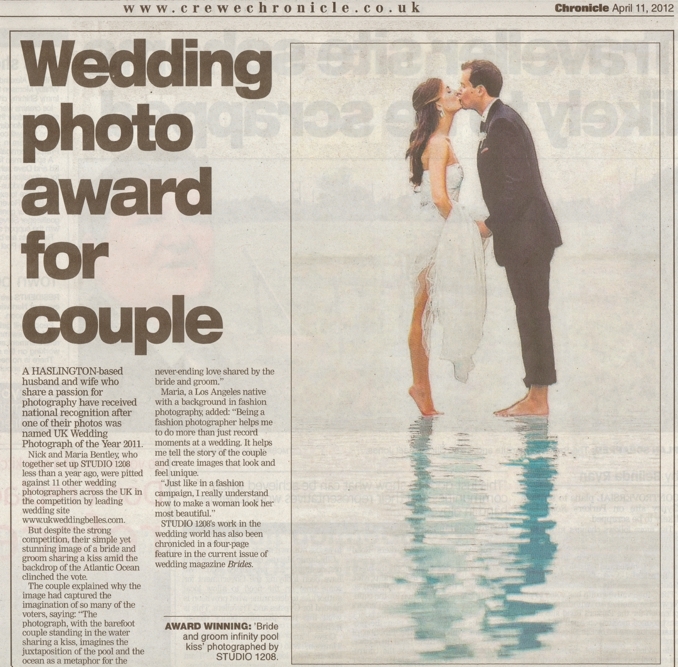 Thank you to The Crewe Chronicle for writing such a nice story about us! You can see this image in print also in the current issue of Brides Magazine (UK) or on our blog here.